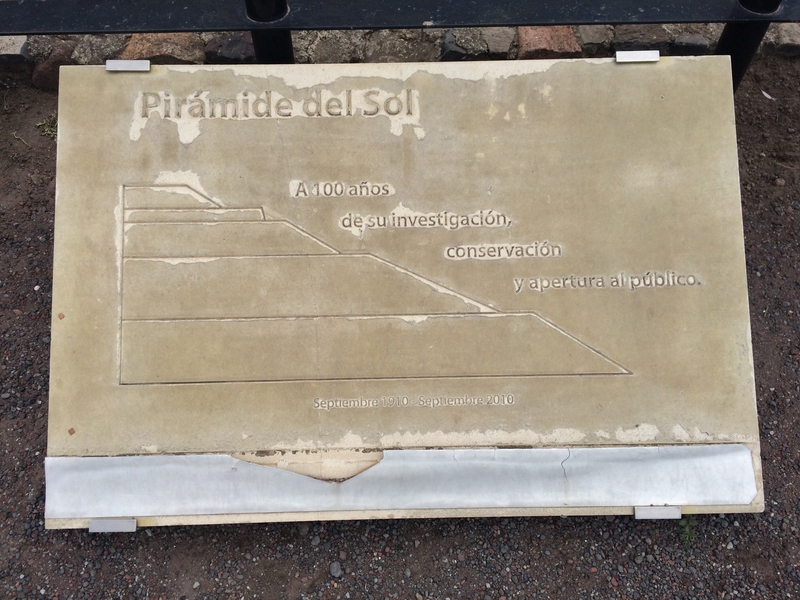 Photo: An additional marker on the 100th anniversary of the investigation of the Pyramid of the Sun. Caption: An additional marker on the 100th anniversary of the investigation of the Pyramid of the Sun. A 100 años de su investigación, conservación y apertura al publico. To 100 years of its investigacion, conservation and opening to the public.